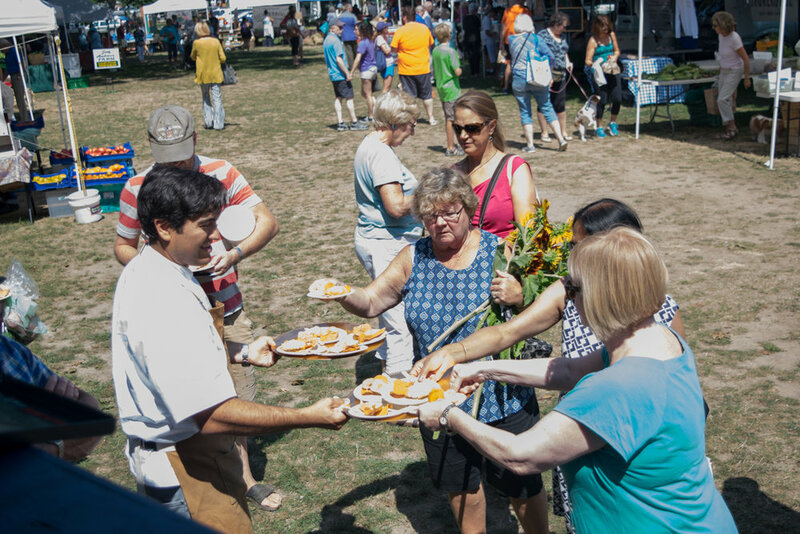 Seafood is nourishing, delicious, and part of New England's coastal heritage. It is also a powerful vehicle to educate the public about the marine ecosystems that produce it and the people who harvest it. Together, the coasts, waters, vessels, fishermen, dealers, and chefs who turn sunlight into seafood and fish into fillets form part of a vibrant seafood system that cycles nutrients through our bodies, dollars through our economies, and a sense of place through our communities. 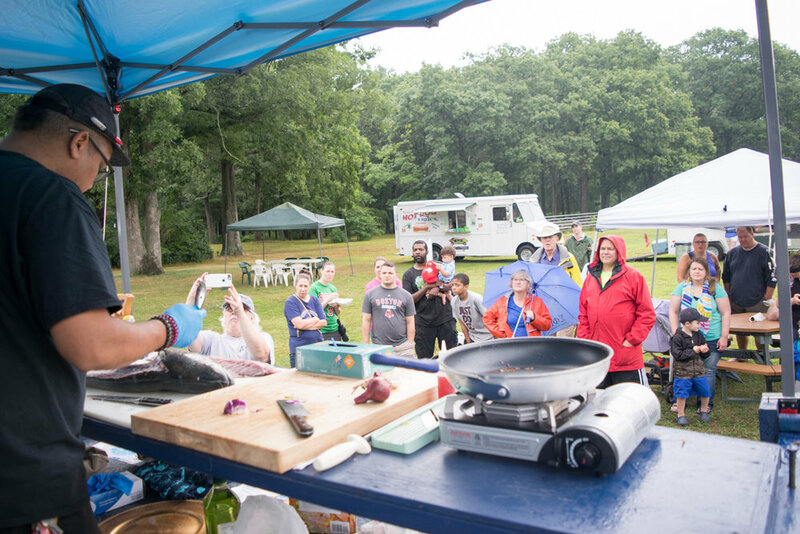 The Scales & Tales program is about much more than promoting particular seafood products. It is about promoting the entire seafood system - from phytoplankton to fishing boat. 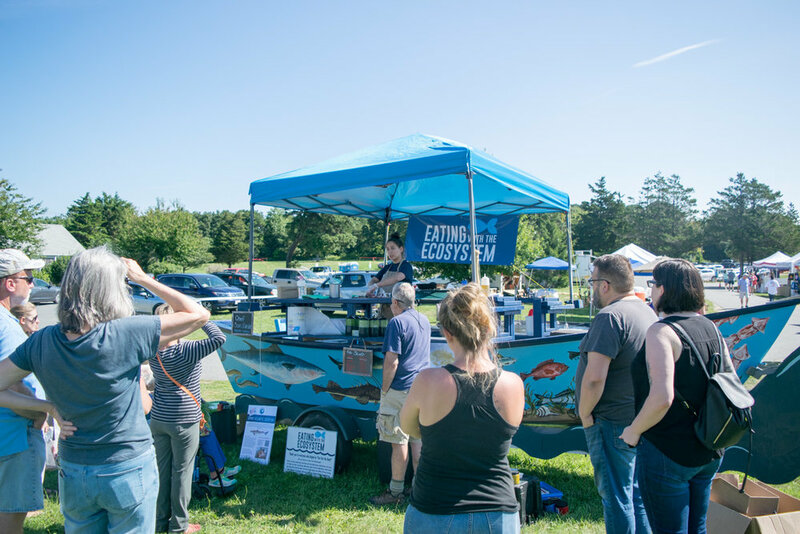 Eating with the Ecosystem believes that local seafood marketing should not only sell products but should also sell an ethos of interconnectedness with the environment and a sense of community with our local fishermen. The “Scales” part of these programs refers to the food. 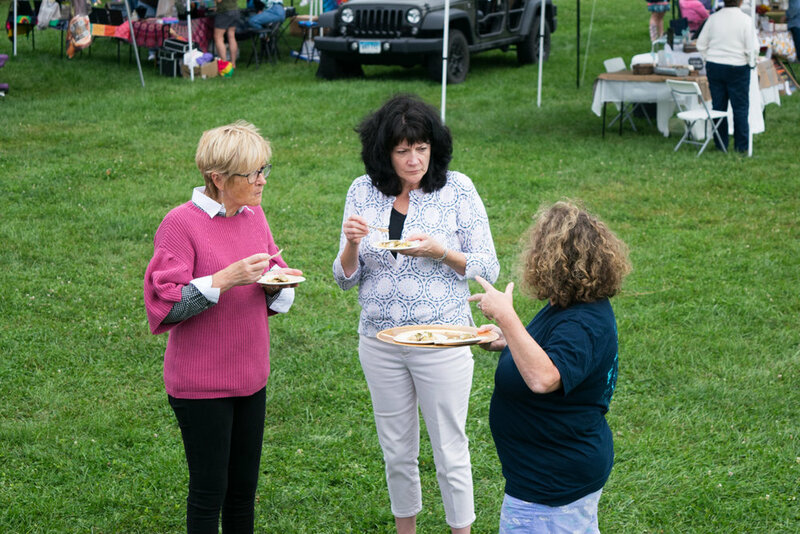 At our Scales & Tales events, participants enjoy delicious and abundant local seafood species, many of which they might not be familiar with, prepared by talented local chefs. 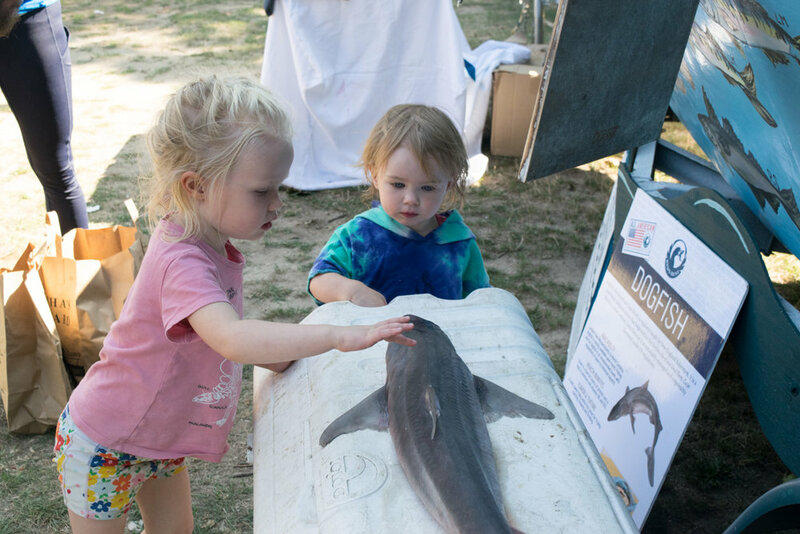 The “Tales” portion of these events are an education component, with fishermen and scientists sharing stories and digging deeper into Eating with the Ecosystem’s mission in relation to the marine species being served. 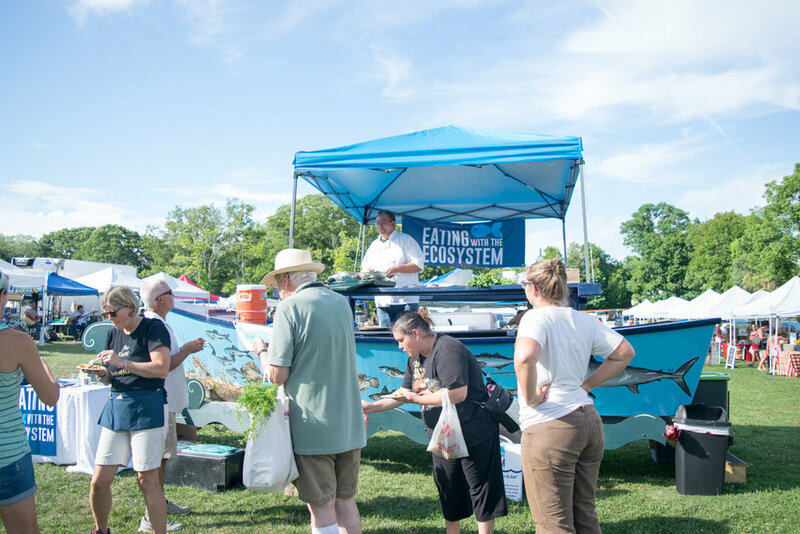 Eating with the Ecosystem's Scales & Tales program consists of our Scales & Tales Fundraising Dinners and our Scales & Tales Food Boat Events. 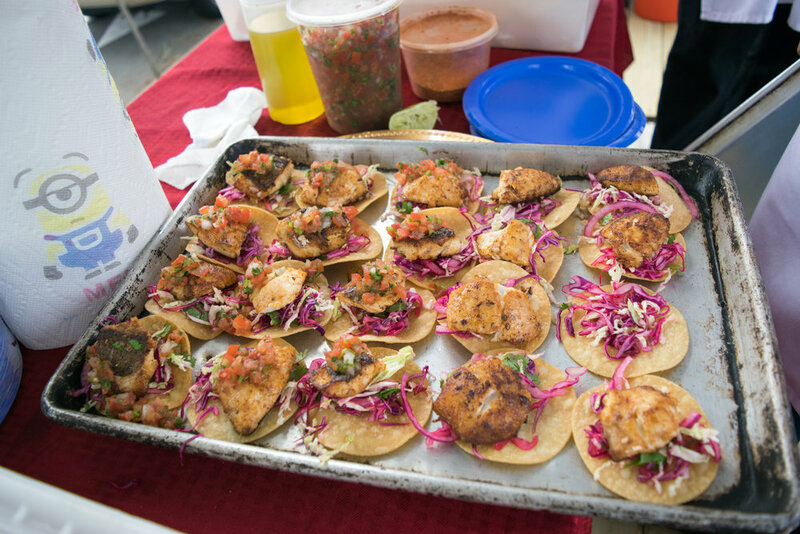 At Eating with the Ecosystem we believe very strongly that local seafood is for everyone. 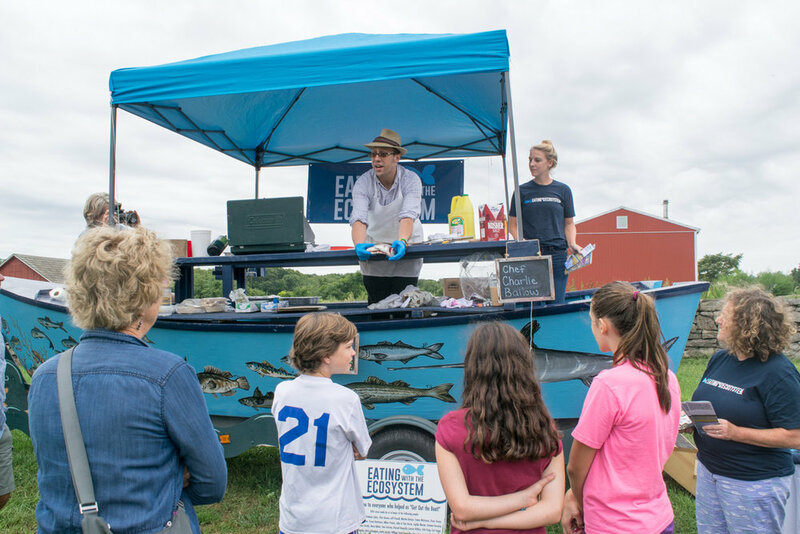 Through the Scales & Tales Food Boat program, Eating with the Ecosystem offers FREE, fun, educational events to teach consumers about our local seafood, fisheries, and ecosystems. 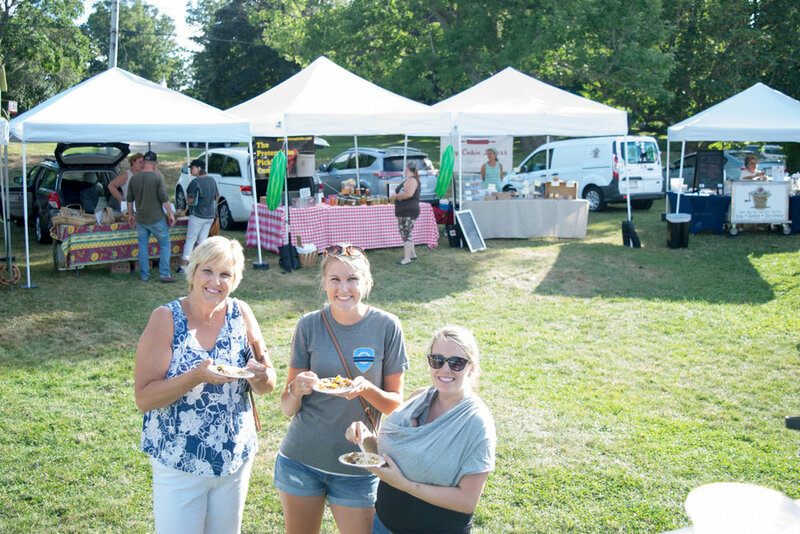 These events raise awareness for and promote local lesser known seafood species and include seafood cooking demonstrations, free samples of local seafood, and storytelling by fishermen and scientists. 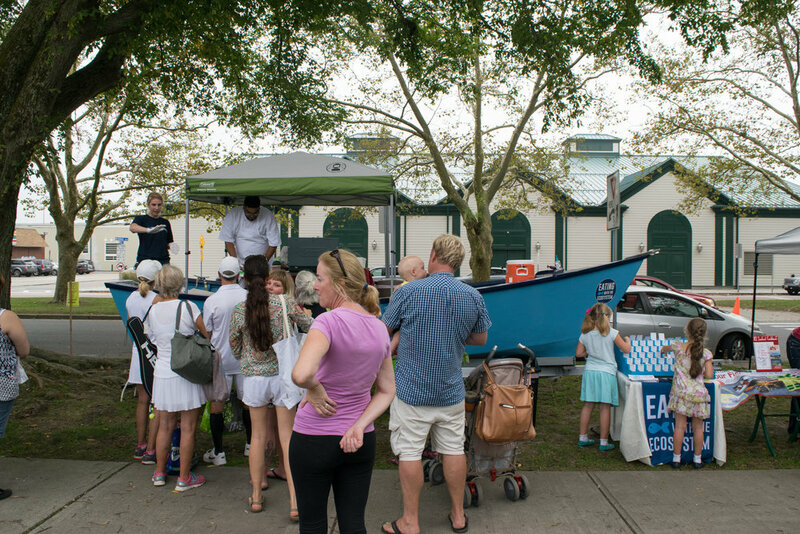 The food boat is a mobile kitchen (on wheels, not the sea) built on the deck of a 19' fishing skiff and painted with images of more than 75 local seafood creatures. 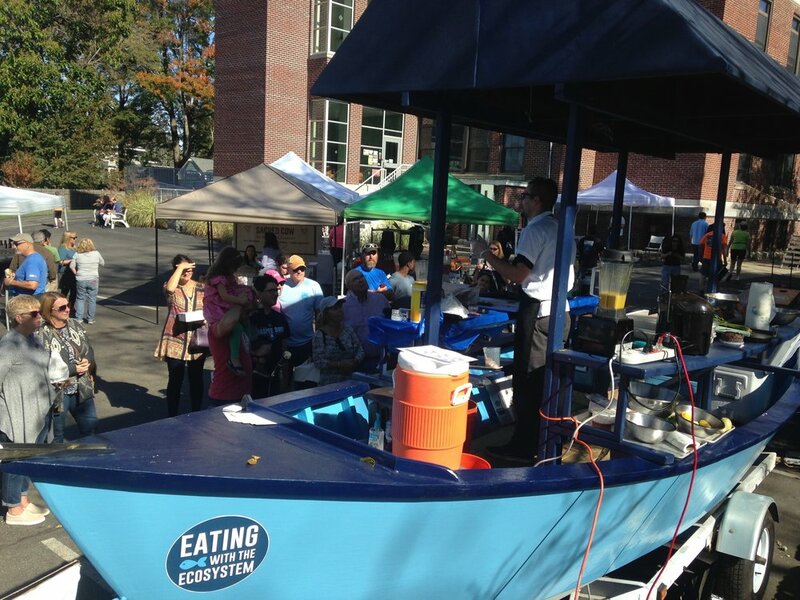 Thanks to your generous contributions, the Scales & Tales food boat made is debut in September 2017 and Eating with the Ecosystem is now able to take this food boat on the road to outdoor locations such as farmer’s markets, seafood festivals, and other local venues to offer free programs for our local communities. “Fisheries of the Future”: This demo focuses on the effects of warming waters and climate variability on local fisheries. 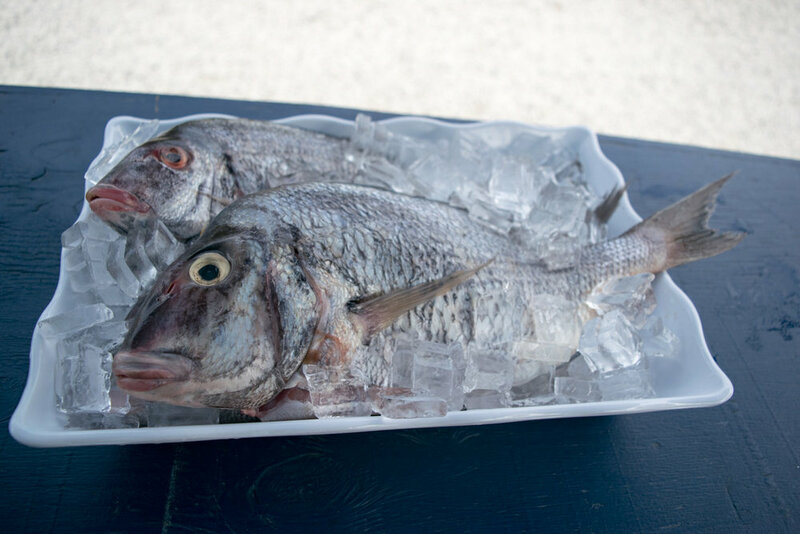 Free samples feature species like black sea bass and others that are becoming more abundant and more important to the local fishing industry. 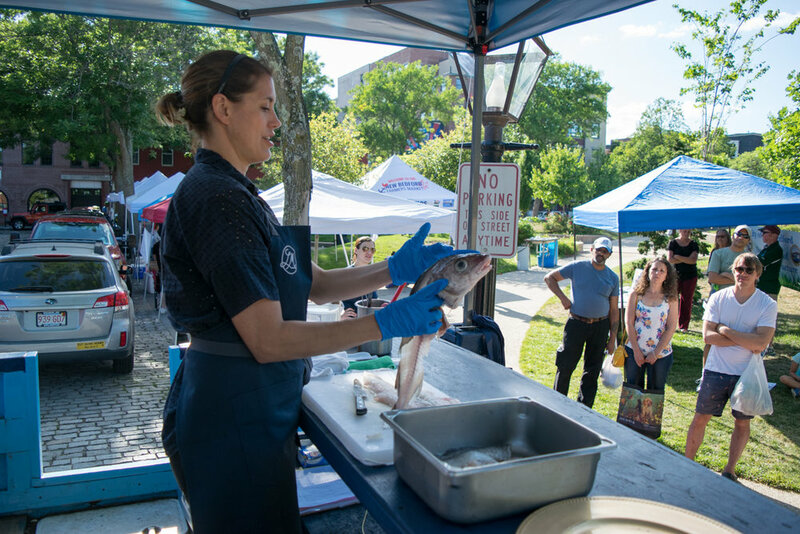 Visitors will learn how they can support ecosystems and fishermen in a changing climate by being flexible and adaptive in their seafood preferences. 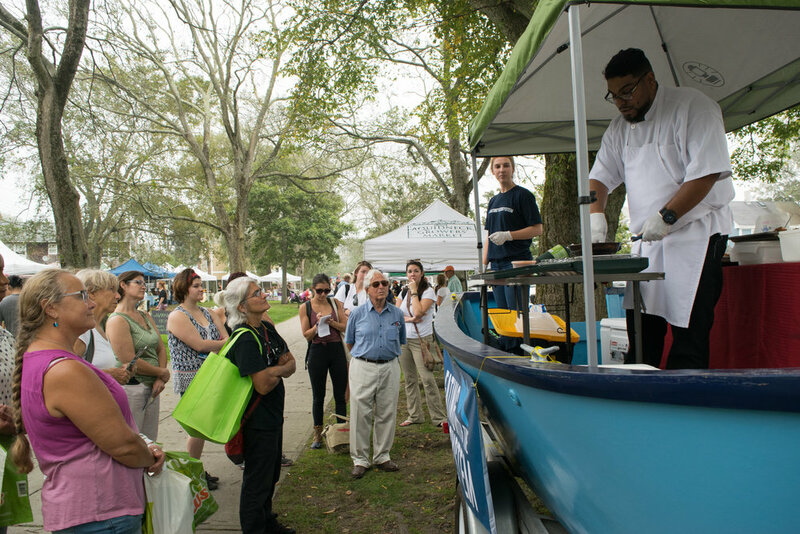 “Salt Marsh and Sugar Kelp”: This demo focuses on the importance of coastal and estuarine habitats in sustaining wild seafood. Protection and restoration of local watersheds and estuaries is a critical aspect of making fisheries more resilient and increasing local food production from the sea. 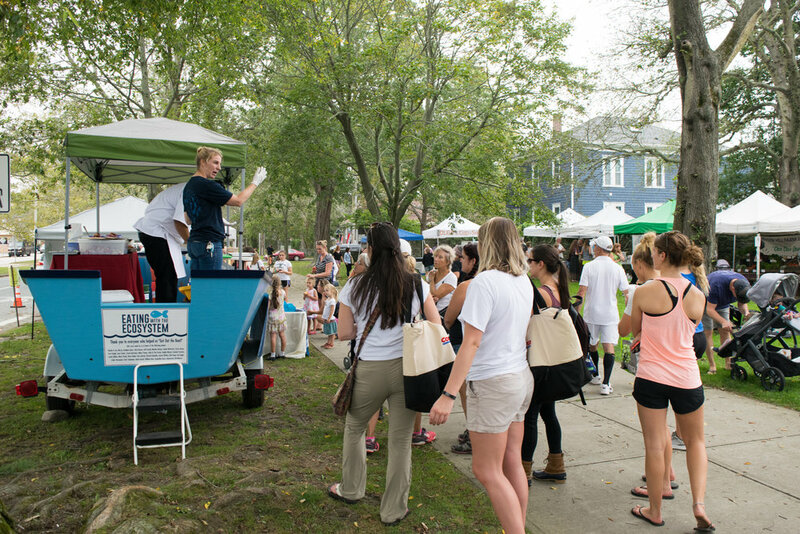 This demo will convey this message by serving species that depend on coastal habitats for part of their life cycle. 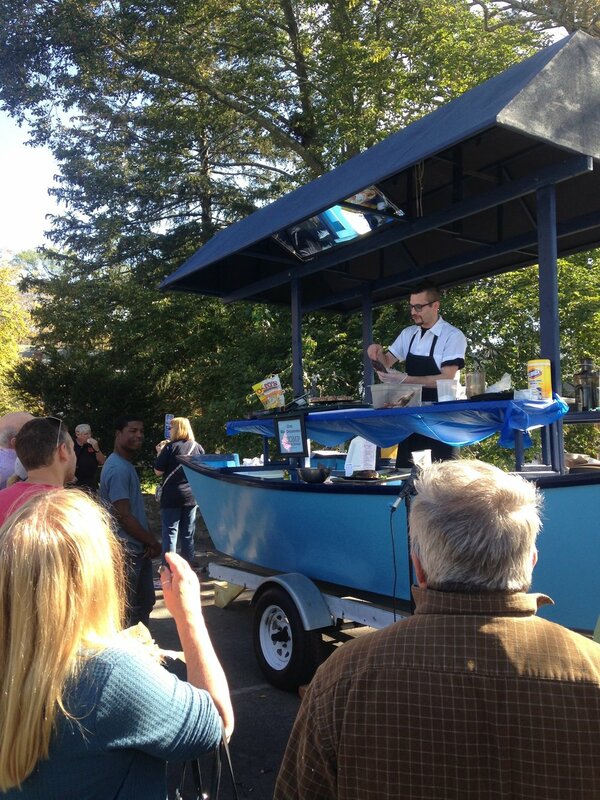 “Know Your Fisherman”: This demo will focus on the people who harvest seafood: our community fishermen. 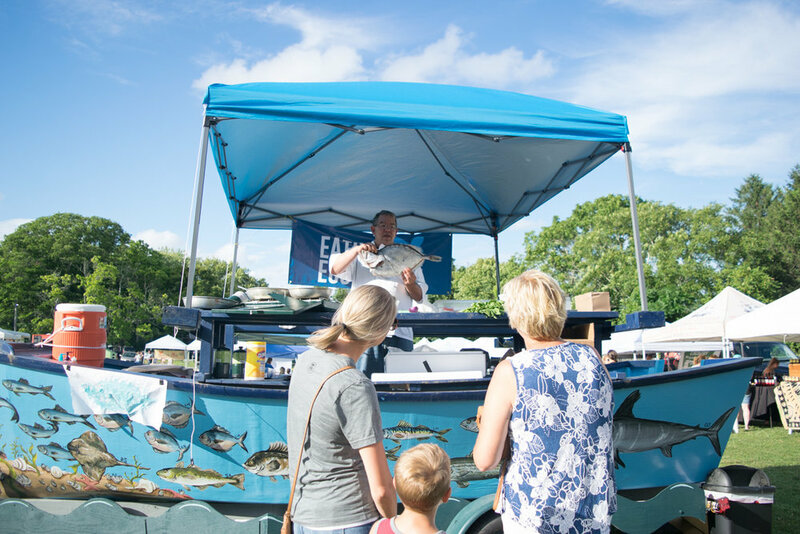 A local fisherman will be on hand to share his/her story and engage visitors in learning about the industry. 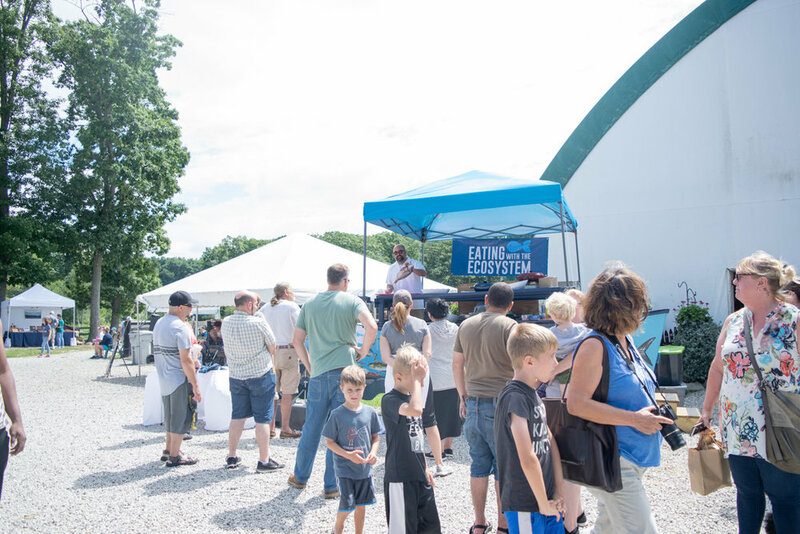 Visitors will gain insights into the history and heritage of coastal fishing, and come away with a commitment to supporting this valuable local industry for the future. 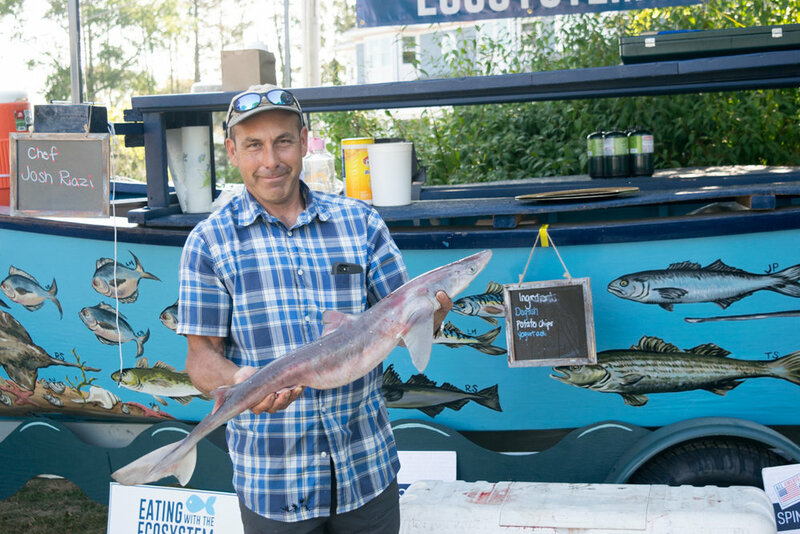 Eating with the Ecosystem has partnered with Eat Drink RI to present a series of seasonal fundraiser dinners at local restaurants to promote our mission of creating a place-based approach to sustaining New England’s wild seafood. 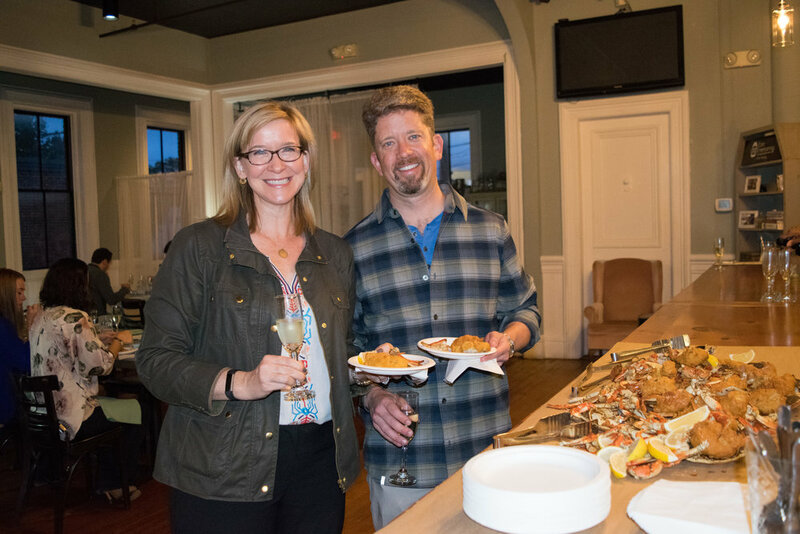 We work with some of the region's most talented chefs to curate diverse and delicious multi-course seafood menus designed to tell the story of our local ecosystems. 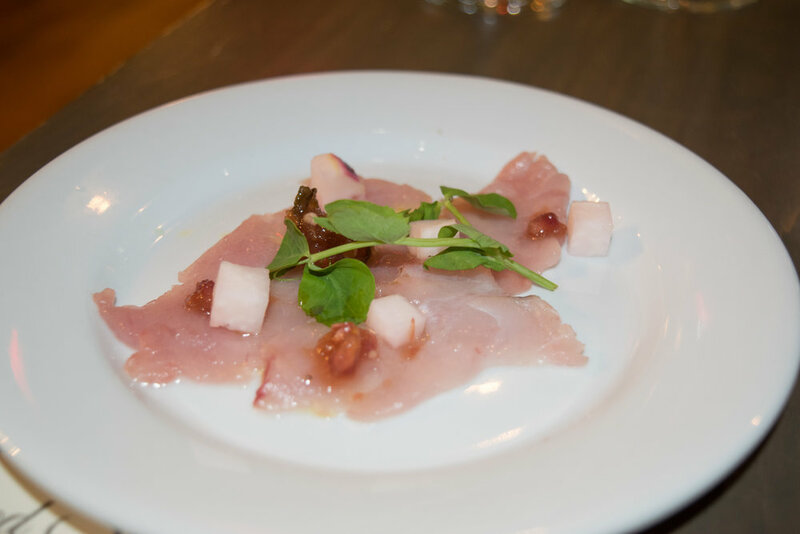 Each course features a different local fish and is paired with wine or artisanal cocktails. 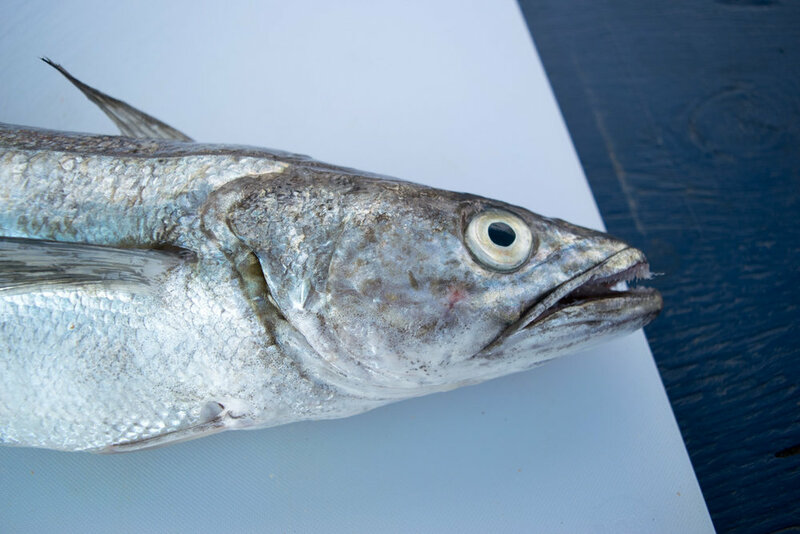 While you sit back and enjoy your meal, Eating with the Ecosystem's staff will teach you about the species you are consuming and local fishermen will share their stories of the day to day realities of living and working in our cherished marine ecosystems. At these upSCALE dinners, you'll get wined and dined for a cause. 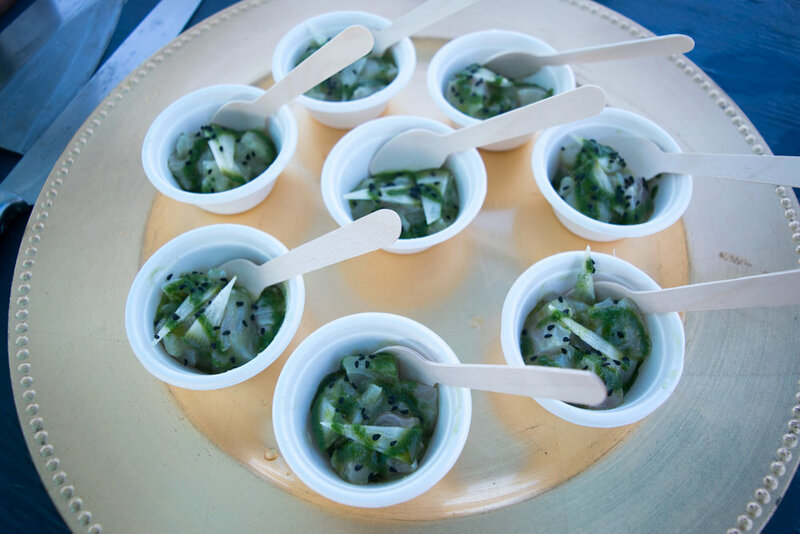 $30 from each ticket sold goes to funding Eating with the Ecosystem's Scales & Tales Food Boat program. Each dinner is $90 per guest, all inclusive, and begins at 6pm with a welcome cocktail reception, followed by a multi-course seated dinner with drinks. 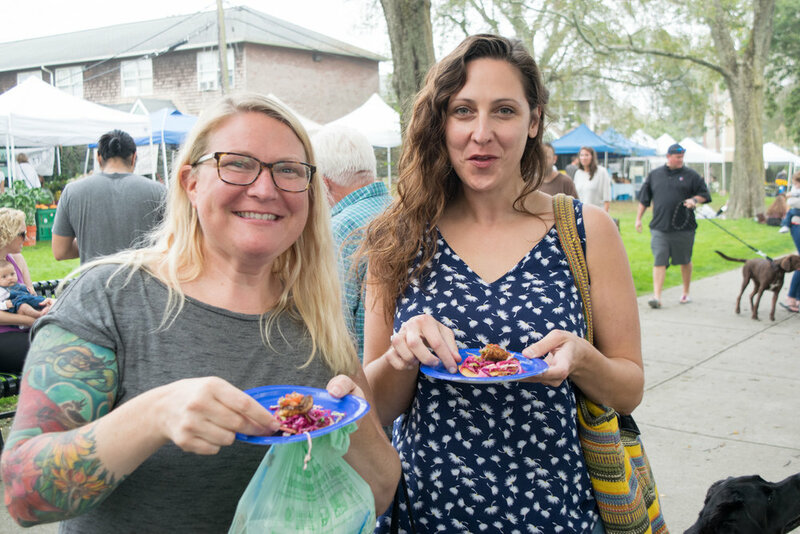 A portion ($30) of each ticket is fully tax deductible and supports Eating with the Ecosystem’s work to promote a place-based approach to sustaining New England’s wild seafood.